This is the second in my New York Fashion Week instalments. I didn’t get to go to the shows (surely this is self-evident, considering I have been no where near New York and would be too chicken to crash these shows if I was. Just saying’). However, I DID follow NYFW religiously on Instagram, style.com and every other social media platform ever – such is the luxury of this time between finishing uni and starting a full time job. Don’t be jealous, it’s unbecoming. I’m pulling highlights from my favourite shows over the next few days – I started with Rachel Zoe, and today we’ll be collectively drooling over the beauty of the Oscar de la Renta Fall 2015 collection. 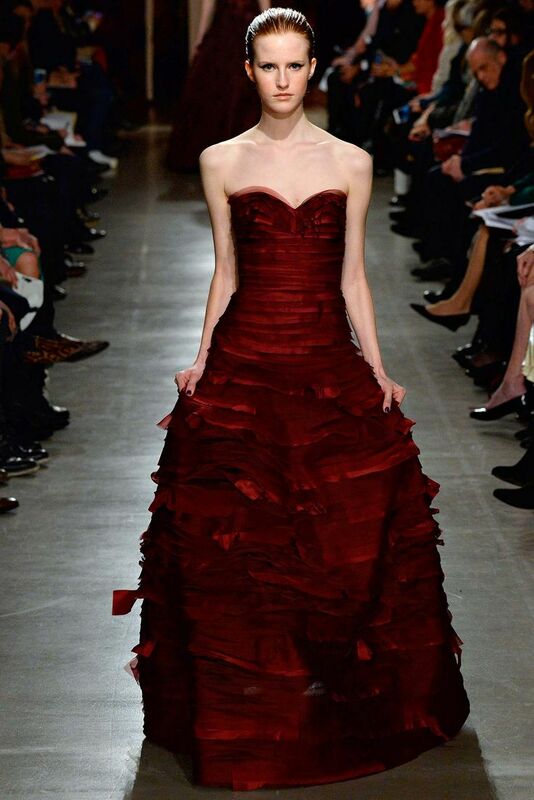 de la Renta is always one of my favourite shows to stalk. Beyond the beautiful masterpieces on the runway, the show always draws a VERY well dressed crowd (oh the people watching I could do there) and my favourite models always walk. The hair and make up are always impeccable, and it’s a true lesson in timeless ready to wear. This season’s show was especially poignant following the passing of Mr de la Renta himself last year, and the appointment of Peter Copping to take the reigns. I’m not in a position to really comment on this, but Style.com wrote a great wrap up of the show here, if you’re interested. Copping’s collection was instilled with the classic beauty of Oscar de la Renta – a wonder, considering he only had three months to design it. The collection itself is very uptown – it won’t funk you up, but it is SO polished and classic, with just a hint of fun imbued in the styling. Put it this way – Taylor Swift would wear every single look in this show, and so would a Park Avenue socialite in her 60s, and I mean that in the best way. In fact, BFFs Tay Tay and Karlie Kloss (Kay Kay – no? Okay) were front row. And I guarantee you will see at least one of these dresses on the Oscars red carpet. But enough of the fashion commentary – after all, you’re really only here to look at the pretty dresses. On that note, these were my favourites.